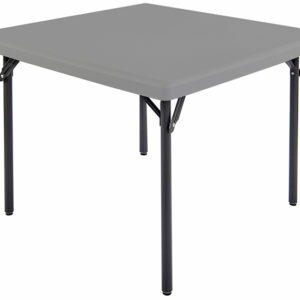 Resilient® Premium Lightweight Plastic Tables are so multi-functional you’ll wonder how you ever lived without them! 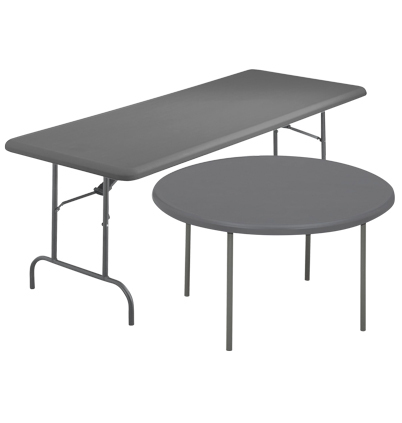 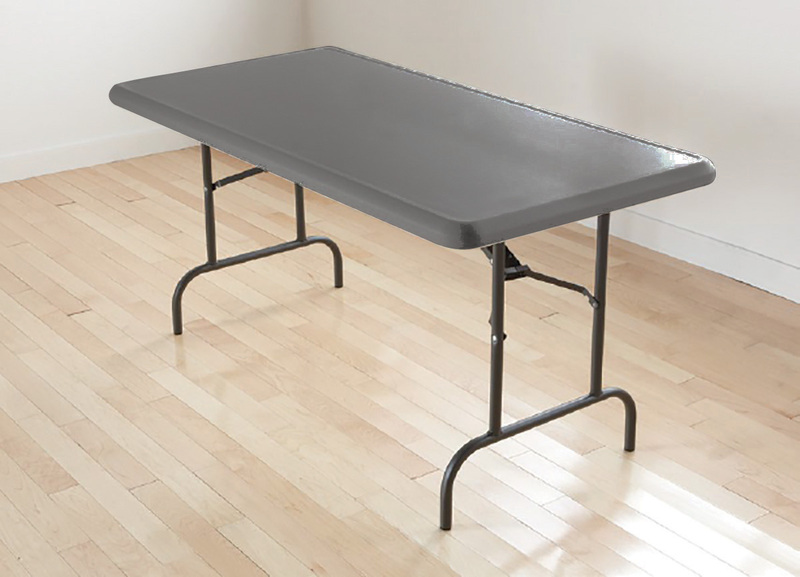 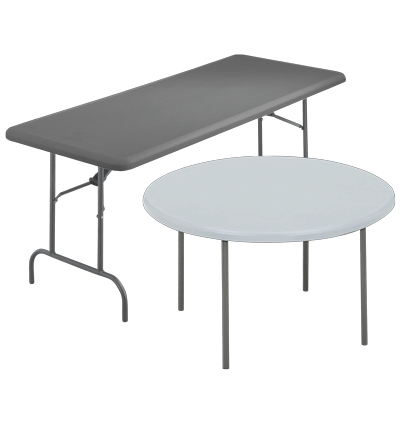 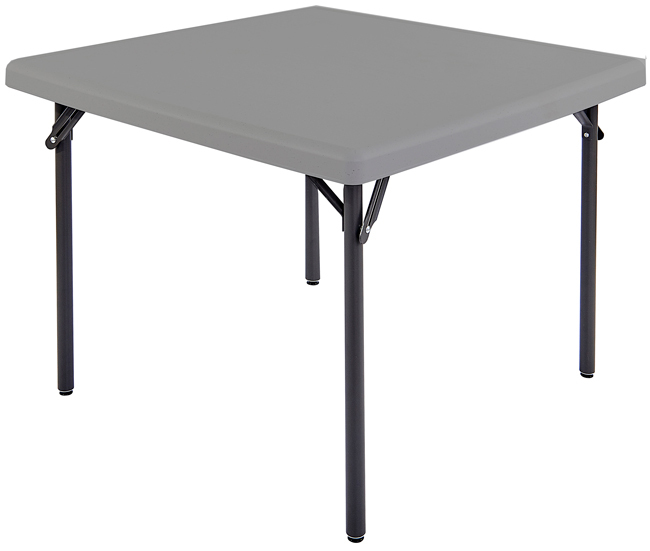 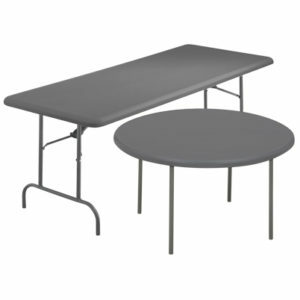 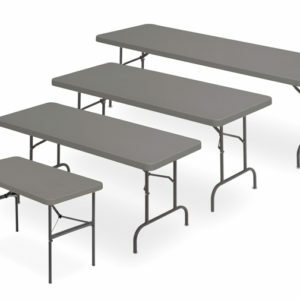 This new Resilient® style offers a robust folding table constructed with blow-molded high-density polyethylene, making it dent resistant, scratch resistant, and easy to clean. 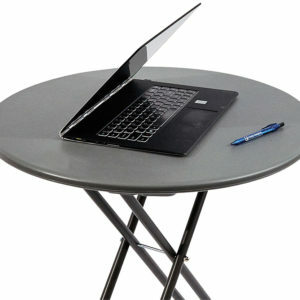 It is offered in an attractive charcoal colored top with a soft beveled radius edge, which is designed for comfort. 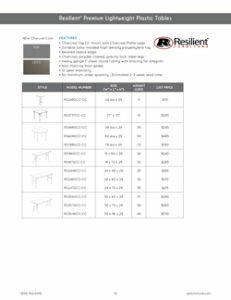 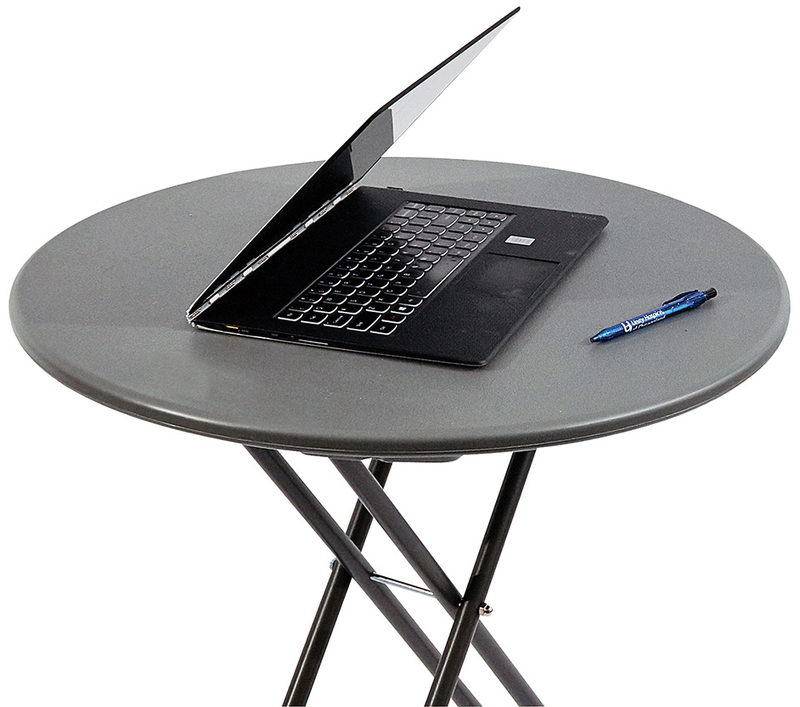 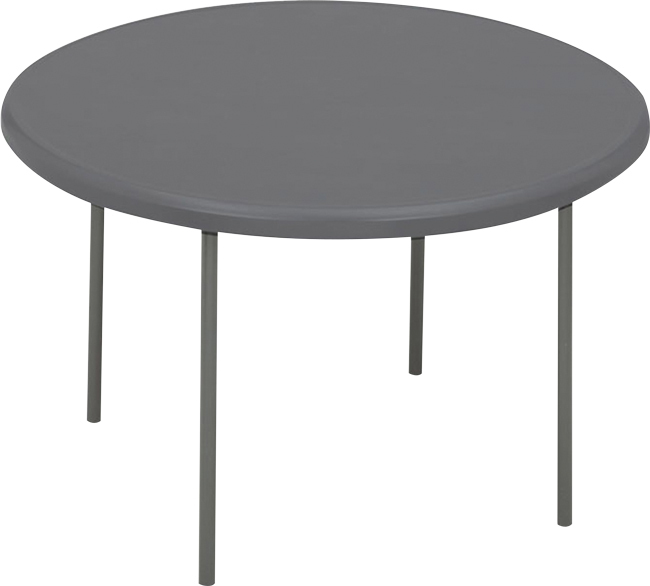 Resilient® Premium tables have 1″ gray powder coated round tubing legs with bracing are designed for extra strength and stability. 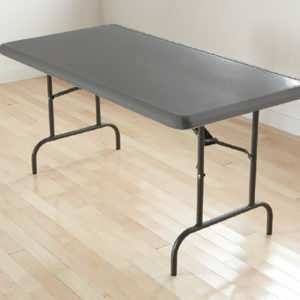 The weight capacity of 2000 lbs. 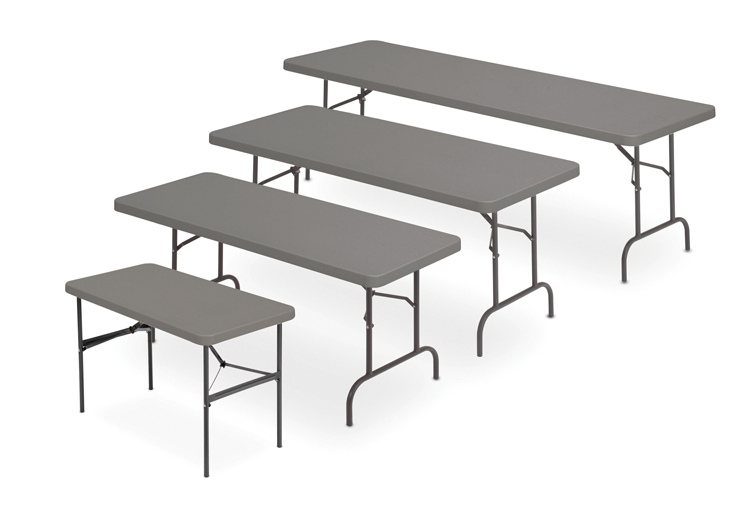 evenly distributed supports the heaviest loads. 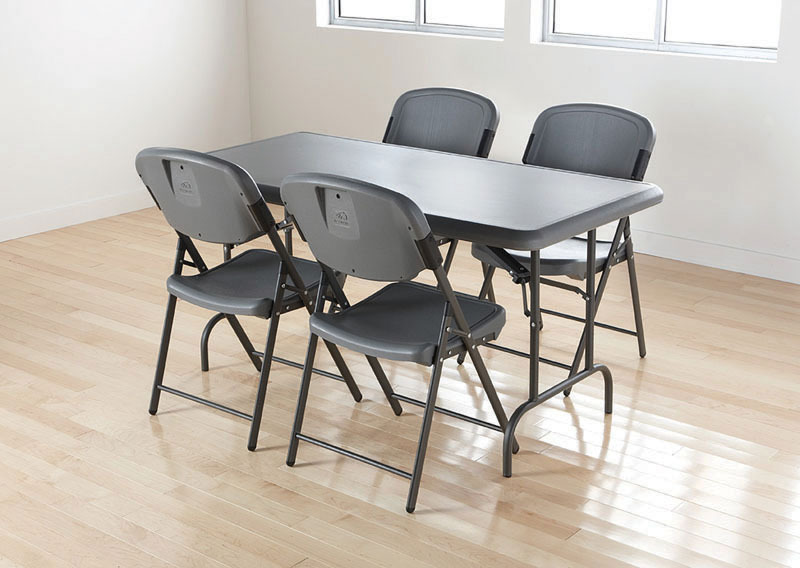 The legs fold into protective channels for compact storage, plus the tables nest to maximize storage space. 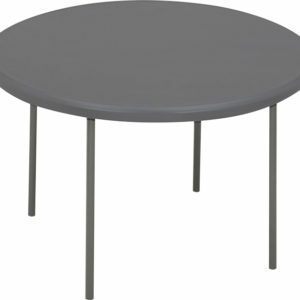 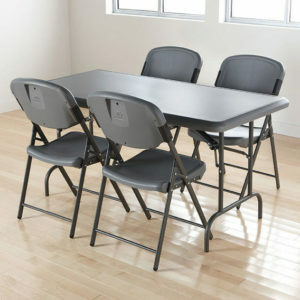 This table is also manufactured in USA!